If you are involved in an auto injury case in North Carolina, whether it be an insurance settlement or an actual lawsuit, there may be a few key state laws that come into effect. The attorneys at Brown and Moore in Charlotte, North Carolina are very knowledgeable and up to date on all North Carolina personal injury laws. Our firm has years of experience working with drivers in auto accidents and other personal injury cases. Our legal team understands that being in a car accident can be both frightening and extremely frustrating. We want your main focus to be on your personal recovery from your auto accident. Let us do the heavy lifting for your auto accident case. 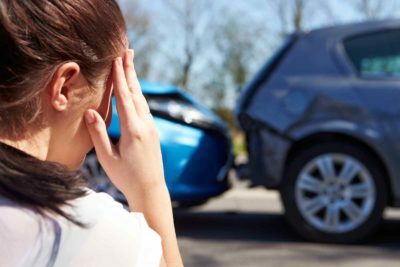 While we are sensitive to the fact that money will never change the past, it can help with the stresses and financial burdens the an auto accident could cause you and your family members. Please do not hesitate to get in touch with one of our North Carolina auto accident attorneys today, for if you wait too long your right to compensation may be lost forever. When Should a Claim for Charlotte Auto Accidents be Filed? Throughout the country, each state has different statute of limitations on the amount of time one has to file a lawsuit in court after an auto accident.The statute of limitations in North Carolina for personal injury cases gives the victim three years from the date of the accident to file a lawsuit. For wrongful death cases, this period is two years. If you fail to get your lawsuit filed in the appropriate amount of time, then in most cases, North Carolina courts will refuse to hear your case from then on. In turn, you will lose your right to compensation from any auto accidents. North Carolina is known as a “fault” state when it comes to insurance claims and determining liability. In a fault state, the person who is seen as legally at fault for the accident bears the liability for injuries or damages caused by the wreck. This usually comes from the at-fault party’s insurance carrier. If you are in a car accident within North Carolina and you have been injured or your vehicle has been damaged, you can usually seek compensation in a few ways. You can file a claim for property damage with your own insurance carrier and then they will seek reimbursement from the insurance company for the at-fault driver. With respect to bodily injuries, you ordinarily will have to file a claim against the at-fault driver’s insurance company; however, if the at-fault driver does not have any insurance, or does not have enough insurance, the injured driver will often have to look toward his or her own insurance company. In that situation, the injured driver’s insurer can seek to collect reimbursement for benefits it pays out directly from the at-fault driver. Victims of North Carolina auto accidents should reach out to Brown Moore & Associates for a consultation today. It is usually a good idea to carry an auto insurance policy with higher maximum coverage. This is important because if you are found at fault for an auto accident and the total of the damages goes beyond the limits of your insurance policy then you may be left to pay up the difference. This difference could come from a collection of your assets or real estate. North Carolina is one of the states that requires all car insurance policies sold within the state to include uninsured motorist coverage. Underinsured motorists coverage is sometimes required depending on how much coverage you carry under your insurance policy. Uninsured motorist coverage helps defend you from instances where another driver is at fault but they have no insurance. Underinsured motorist insurance also comes into play for auto accidents where the at-fault driver’s insurance coverage is less than enough to pay for the damages they caused. For instance, if the other driver has the minimum state required $30,000 in coverage and your total medical and rehab costs are over that, then if your underinsured motorists coverage is ample enough, it can be available to pay the amount over $30,000. Like other states, North Carolina has made limitations on the kinds of damages that an injured individual can receive in a state court case. In medical malpractice cases, non-economic damages (i.e. pain and suffering) are usually capped at $500,000. This cap does not apply to other types of injury cases that are not from medical malpractice. In all types of injury cases within the state, punitive damages are not to exceed the greater of three times the total of compensatory damages or $250,000. Most of the time punitive damages are not awarded in injury cases, but it is necessary to be aware of this state rule. North Carolina auto accident cases and the laws that surround them can be extremely complex and difficult to navigate alone. Our auto accident attorneys at Brown Moore and Associates are always up to the task of dealing with auto accident claims and cases. We understand the inner workings of insurance companies and have the resources to stand up to them. We take pride in helping North Carolina residents that have been involved in car wrecks. Our legal team is committed to fighting for the compensation that you deserve after an automobile collision. You can rest easy knowing that our competent personal injury lawyers will diligently work on your case from beginning to end. Please call our office to inquire about a free consultation and evaluation of your specific case.